My friend, triple-amputee vet Airman Brian Kolfage, is heading to Texas on Sunday with members of his “We Build The Wall” team. 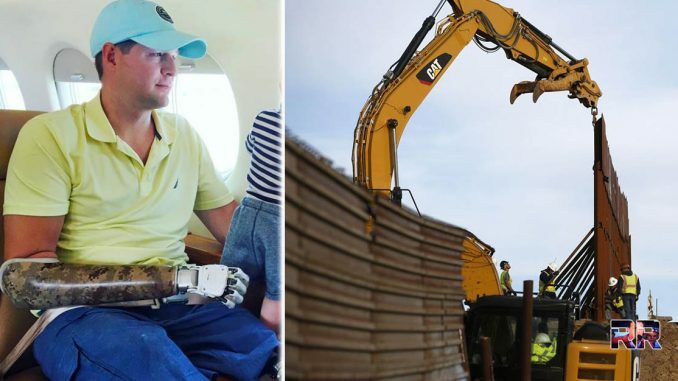 Airman Kolfage has raised over $20 million since December to build a wall on the southern border. Kolfage announced part of his all-star team a little over a week ago. 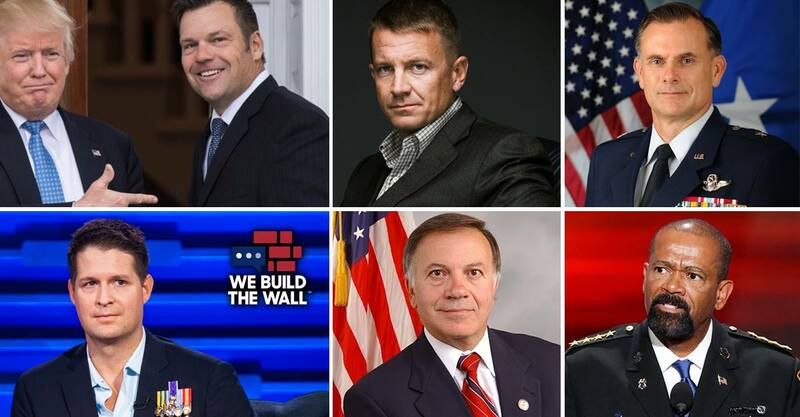 A few who serve on the advisory board are Sheriff David A. Clarke, Brigadier General Dr. Robert S. Spalding III, former Congressman Tom Tancredo, founder of Blackwater USA, Erik Prince, Angel Dad Steve Ronnebeck, and Kansas Secretary of State Kris Kobach. Our team will have multiple media outlets embedded with us as we tour possible locations for our first segment, review contractor proposals, and meet with Border experts. We have set a very ambitious timeline for breaking ground within months and we are on pace to get it done. Leftist news organizations attacked Kolfage when he stated that instead of just raising funds to build a wall, he would form a team that would do it themselves. Fake news media said that all of the $20 million he had raised was being refunded, which wasn’t true. Donors were given the option of having their contributions go towards building the wall, and so far 93% of those responding have chosen to do just that.
.@POTUS is not going to get the wall from Democrats. However, @WeBuildtheWall is now the only option. We are building it and have exciting wall plans our committee is reviewing right now! I’m so pumped! This article was written by Jeff Rainforth for RightWing.news and originally appeared here. It was republished & edited with permission. Edit: Airman Kolfage’s arrival date was changed from Monday to Sunday after contacting him about his plans. GO TEAM GO!!! BUILD THAT WALL!!! My prayers and good wishes are with all of you. So proud of you! Wow!! WHAT A TEAM!!! If our Congress was comprised of such high caliber men and women we wouldn’t have to wait 40 years to get a secure border wall & all the trimmings. Most in Congress have little clue what they’re doing; they’re so far removed from real life. Many live in gated or protected communities, their kids go to private schools or they themselves have private security details. Because they don’t live it, they say it’s a manufactured problem. So all of you, DON’T listen to them!! *All the Angel Families- I PRAY for you!!! You as a collective should help run the country, because you CARE about our great nation and all its potential!! And to Jeff Rainforth…Thank you for your service, as well, your 3 sons!